This stuffed chicken dish only has THREE ingredients besides the seasoning! Read more for a quick weeknight dinner that’ll have your family asking more more! Everyone should have a hearty potato soup recipe in their arsenal and this is mine! 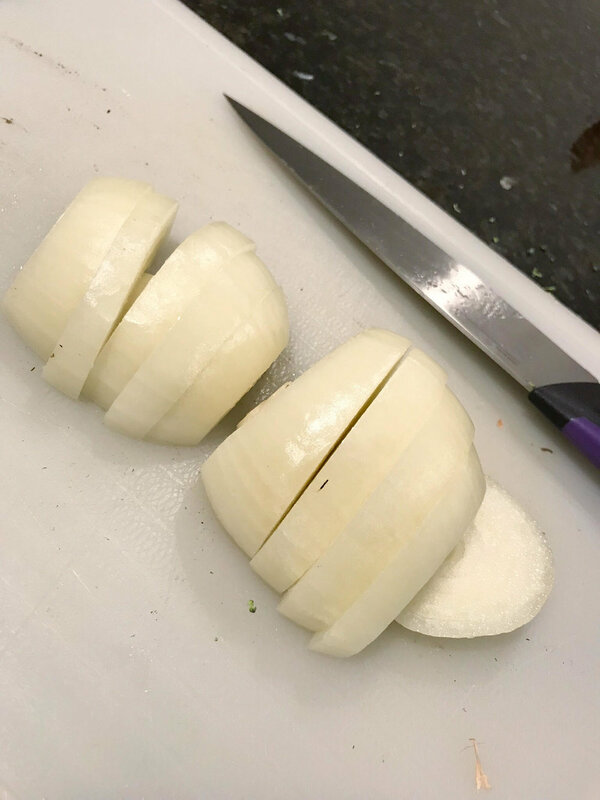 This is a versatile low-carb friendly dinner option that will satisfy cravings for a hearty Italian meal without ruining your diet! I'm 1/4 Japanese so any Asian inspired dish always has a place in my heart - pair that with some quality sticky rice and nothing can compare! 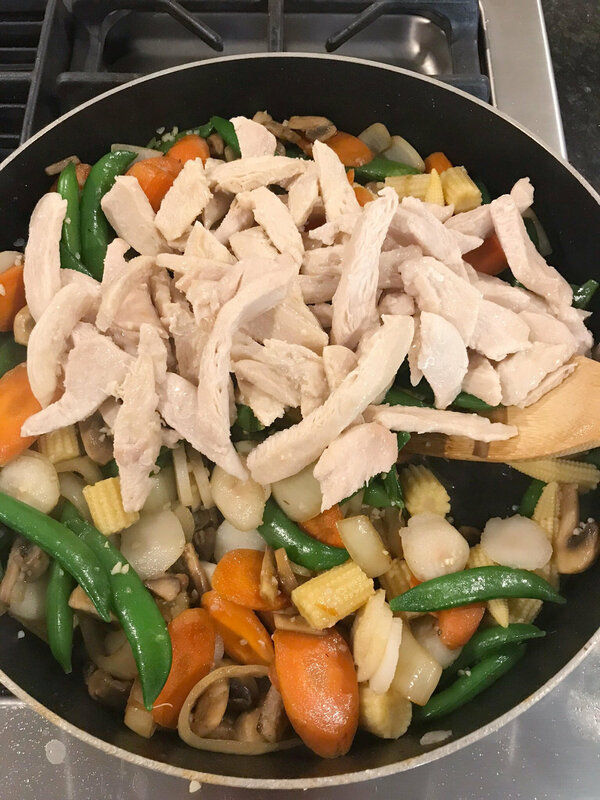 Below is a quick and versatile recipe that won't leave you feeling guilty after or hungry an hour and a half later! Keep scrolling for step - by - step photos and tips. Enjoy! Heat 1T of sesame oil over medium high heat. 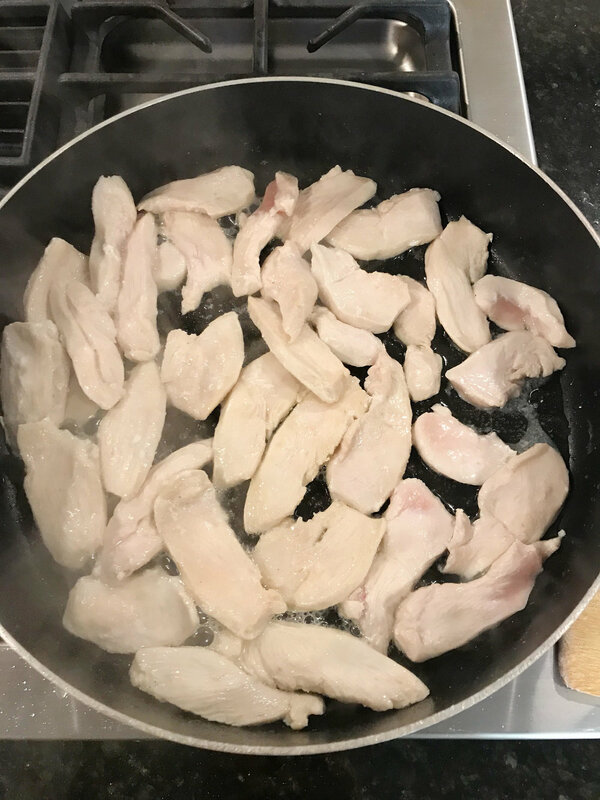 Cook sliced chicken. Remove from heat and set aside. In the same skillet, add another 2T of sesame oil. 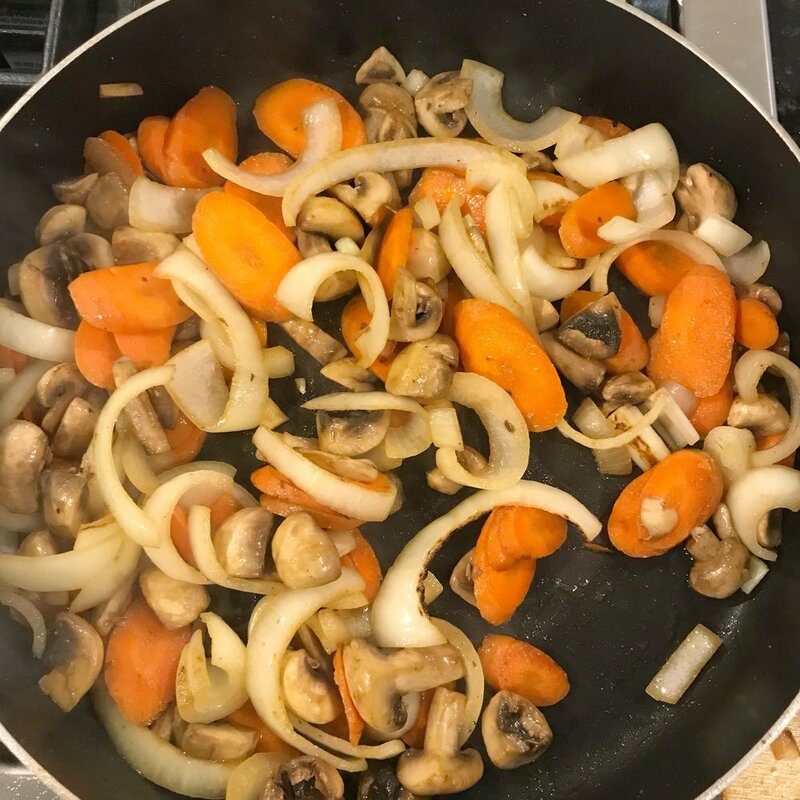 Sauté onions, mushrooms, and carrots until soft. Add snow peas, drained baby corn and water chestnuts and garlic. Add chicken and broccoli. Toss to combine. Add stir fry sauce. Toss again. Add salt + pepper and more soy sauce to taste. Serve alone or on a bed of rice! The star of stir-fry, in my opinion, is the vegetable assortment. As such, the first step is preparing the broccoli, mushrooms, onion, and carrots. 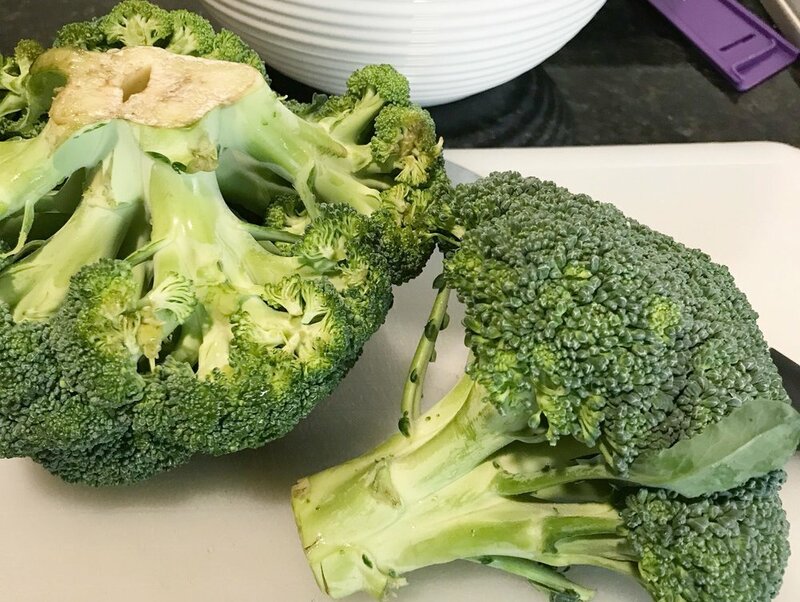 Broccoli should be chopped and steamed (put chopped broccoli and a few tablespoons of water into a covered microwave safe bowl and microwave for 5 minutes), mushrooms quartered, onion sliced into half circles and carrot sliced. Next, slice chicken thinly. Heat 1 tablespoon of sesame oil (vegetable or olive oil works fine too) and cook over medium high heat in a large skillet until cooked through. Remove chicken and set aside. 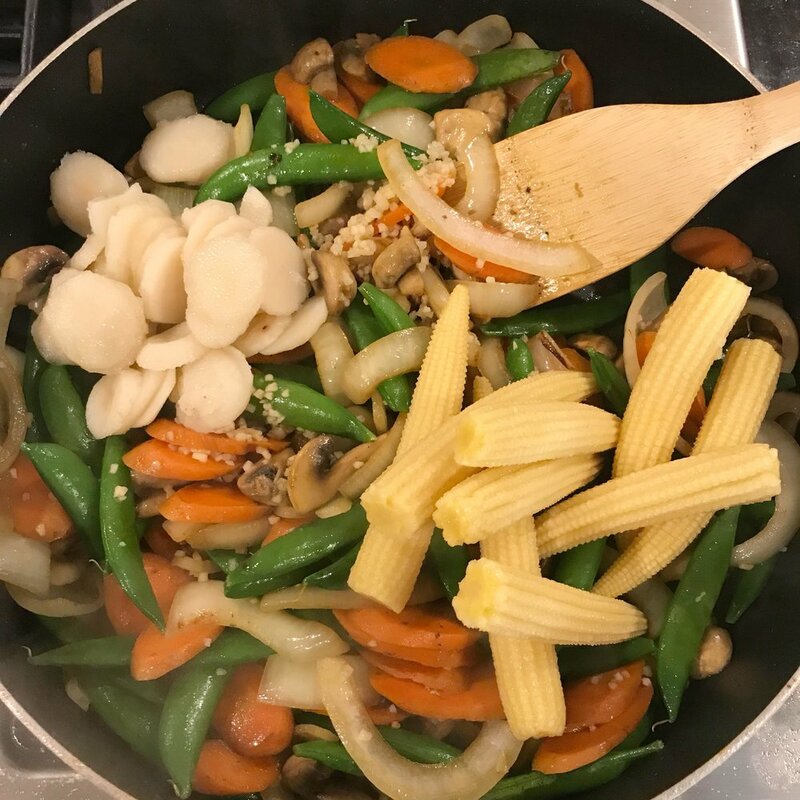 In the same skillet, heat 2 tablespoons of more sesame oil over medium high heat and add the onions, mushrooms and carrots. Cook until soft, about 5-7 minutes. Add snow peas. 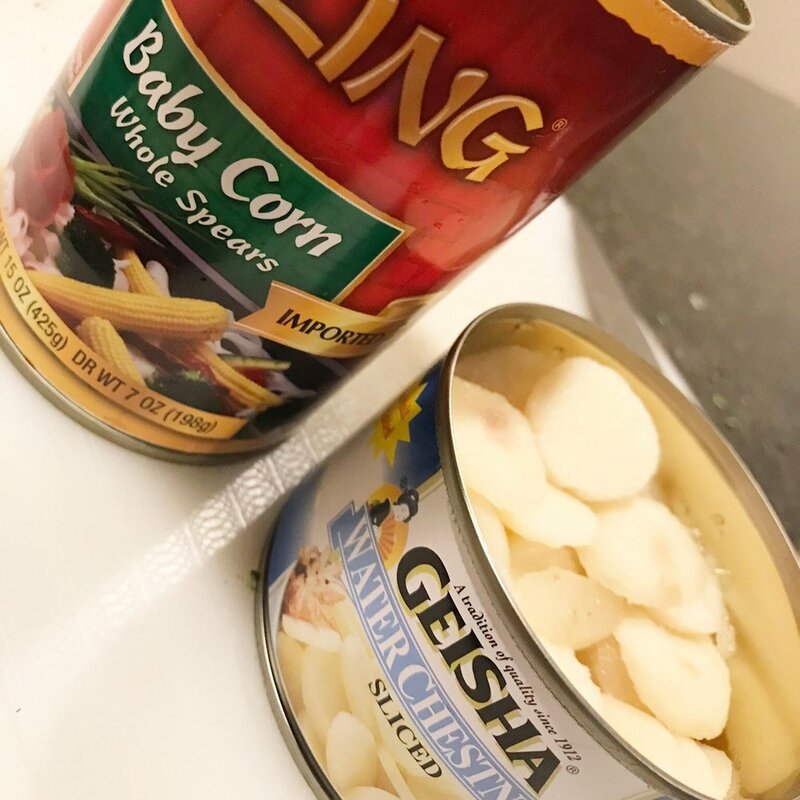 Drain water chestnuts and baby corn. Add them to the skillet along with minced garlic. Add chicken and broccoli. Toss to combine. 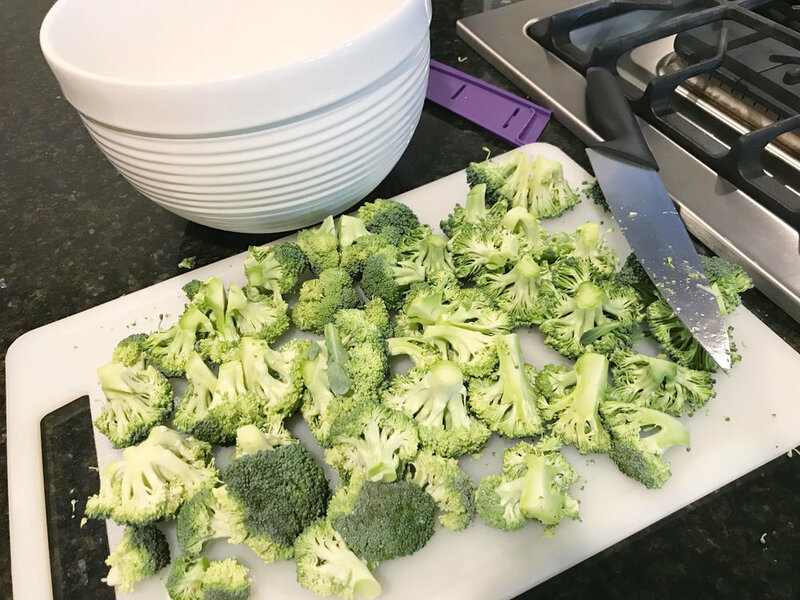 I also took some kitchen shears and cut the baby corn, broccoli and chicken into smaller pieces. Add stir fry sauce. Toss again. Add salt and pepper and soy sauce to taste. Serve alone or over a bed of rice! The most time consuming part of this dish is the prep. 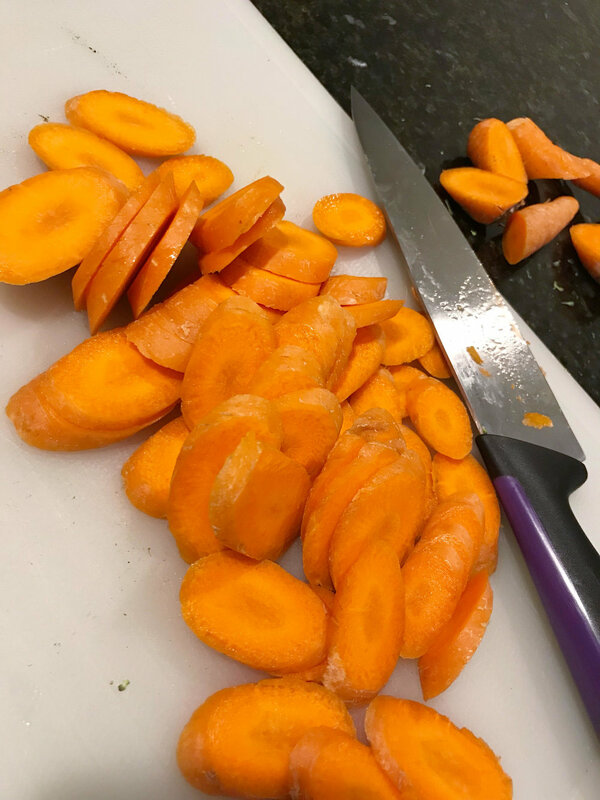 If you find that you're pressed for time, you can certainly chop your vegetables and protein ahead of time so that all that's left is assembly. Additionally, nearly any vegetables or meat would be great in this dish so feel free to add or substitute ingredients to your taste. Enjoy! A step-by-step guide to the easiest way to cut a cake no matter what size or shape! Read more for a no-fail recipe that’s perfect for any cookout or potluck! Wedding FAQ's: How to Save the Top Tier? Many people save the top tier of their wedding cake to enjoy on their one year anniversary. But how exactly do you save the cake to make sure that it stays fresh? Read more to find out! Our last cake decorating class before the big move featured the Snickers cake! Read more for the full class recap. Our March cake class featured a buttercream cake with a floral crown. Read more to see all of the gorgeous pictures from the day! Wedding FAQ's: How Much Cake is Enough? How do you know how much cake you really need at your wedding reception? Read more to find out! February's cake class featured the naked drip cake topped with fresh flowers and macarons! If you want a meal that tastes like comfort feels, this is the dish for you. My hearty beef stew recipe combines super tender meat, fresh veggies and a fantastic spice mixture that will definitely leave you asking for more! At our first ever KIDS cake class, we made cupcake cakes that were shaped like ice cream cones! Baked ziti is the ultimate champion of comfort meals! 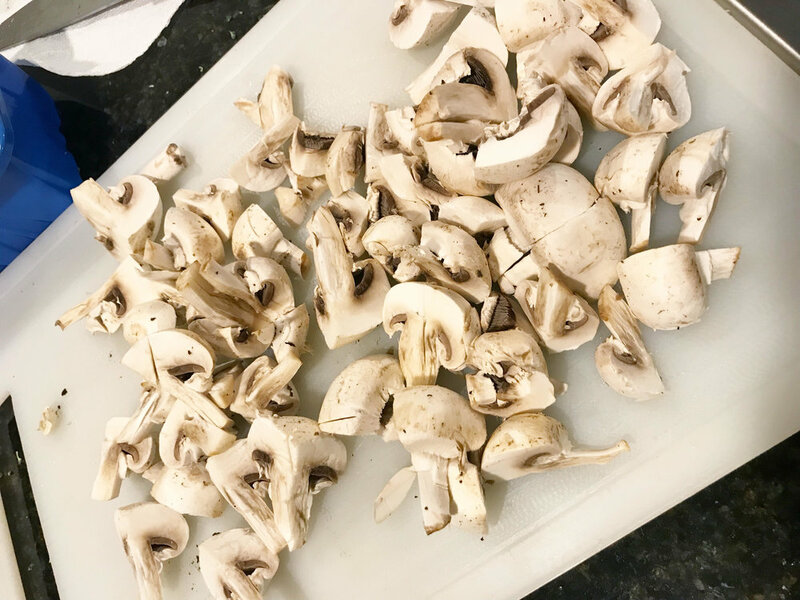 This is a super versatile and super delicious recipe that is sure to please everyone around your dinner table. The project for our third cake class was a buttercream watercolor cake. Read more to see all of the fun! Why go to Dairy Queen when you can make your own homemade ice cream cake?! Read more for a step by step tutorial. The second Sorby Sweets cake class featured a naked drip cake. Read more to hear all about it and see behind the scenes images! The first ever Sorby Sweets cake class was held just a few weeks ago and we had the best time! At it's core, virtually every wedding is a compilation of cultural traditions intended to bring blessings to the newlywed couple and symbolize their love for one another. Although there are many things that are incorporated simply because "it's what you do" it is important to know why we are attached to some of our wedding customs. First Post: Exciting News for Sorby Sweets! My first blog post ever, and I have super exciting news!